I’m so excited to share one of my favorite hacks for weeknight dinners! 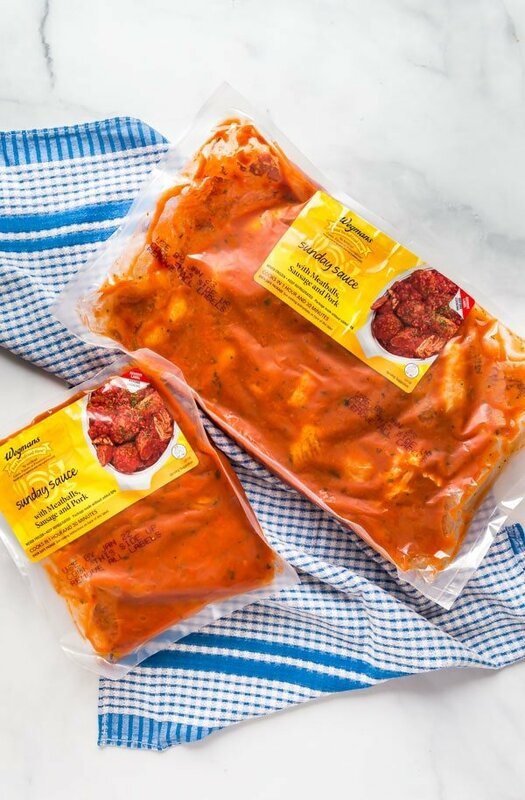 Wegmans chef-developed ready-to-cook entrées in oven-safe packaging offer a great way to get a delicious dinner onto the table with minimal work and clean up! This is a sponsored conversation on behalf of Wegmans. Thank you for supporting the brands that support this blog. This post contains Affiliate Links. Please see the disclaimer here. Do you ever have those nights when you just cannot seem to get it together and get dinner on the table? I totally do- at least once a week (I know, I know, as a food blogger, you’d think I’d always have awesome food around and while that’s partly true, the struggle is still real in our home!). Suffice it to say, weeknight dinners can be a serious beast for all of us! You guys know that a big focus this year is providing awesome solutions to give you dinner ideas that make it all a little easier for you (like my series of dump recipes!). So today, I’m super excited to share one of my favorite hacks for making weeknight dinners a little easier for all of us, but still super delicious. Now, longtime readers and Instagram followers already know about my undying love for all things Wegmans. Wegmans was founded here in Rochester more than 100 years ago and has grown to become a company that’s well loved by consumers and their employees alike. Their goal is helping people make great meals easy, and they go above and beyond to make that happen! I prefer Wegmans brand in so many products because the quality and flavor are excellent. And they’ve done it again! My friends at Wegmans have come up with a seriously awesome option for those nights that you want a great meal without all the hassle. 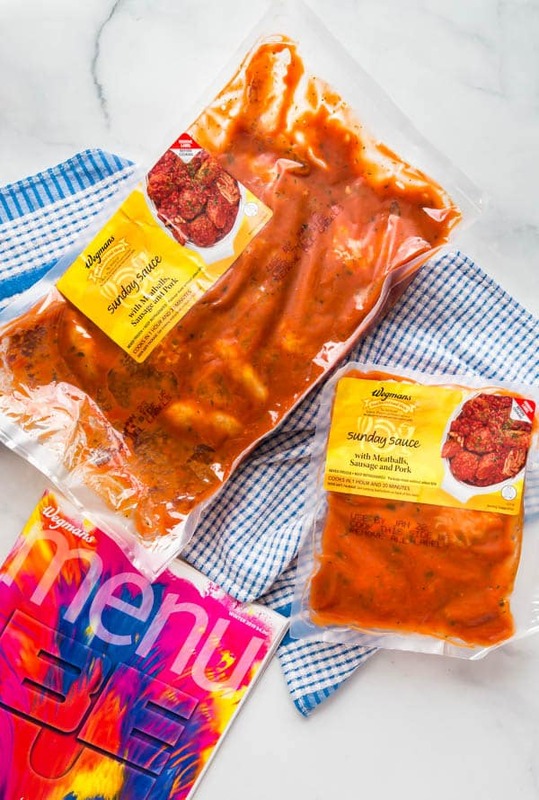 Wegmans chef-developed ready-to-cook entrées in oven-safe packaging are an easy way to put a delicious meal on the table without all the extra work. Why do I love Wegmans ready-to-cook entrées? Minimal prep and cleanup- These are designed to go right into your oven in their packaging (just peel off the labels and pop the whole package into the oven in your favorite baking pan!). Convenience- These stay fresh in your fridge for up to two weeks and also freeze beautifully, so you can have them ready to grab on those crazy nights when you just need a break! (Bonus: they recently added Seafood entrées in oven-safe packaging! They come frozen and go straight from the freezer to the oven, cooking in 40 minutes or less). Safe- Their packaging is designed to safely cook in the oven. It’s made without added BPA. Wegmans has tested these at Rochester Institute of Technology and Virginia Tech and they’ve been proven food-safe. Food You Feel Good About- These are made without preservatives, artificial colors or artificial flavors. I’m proud to serve these to my family! 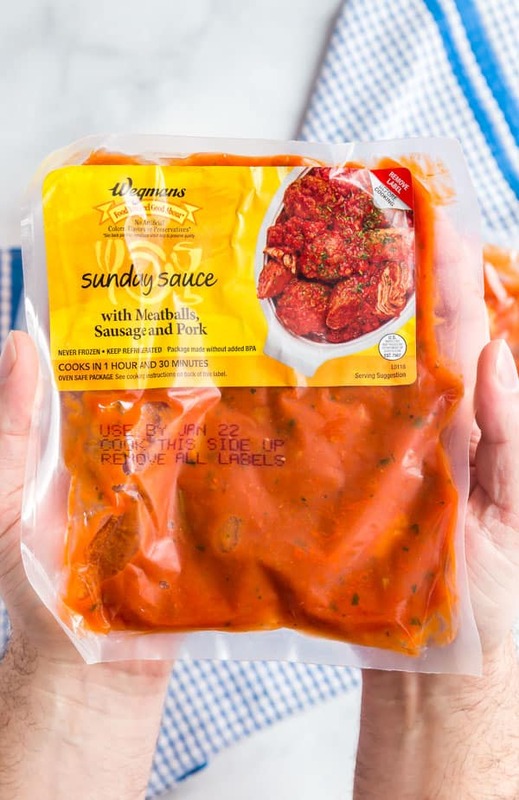 I recently made the Ready-To-Cook Food You Feel Good About Sunday Sauce in oven-safe packaging! 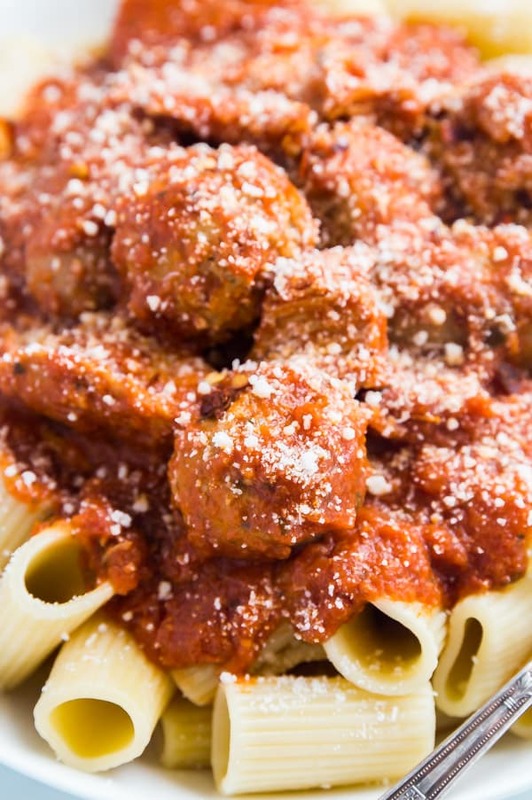 My family loves a cozy Italian meal and this dinner really delivered- my girls were asking for seconds and thirds (“more ‘roni’s please!”). 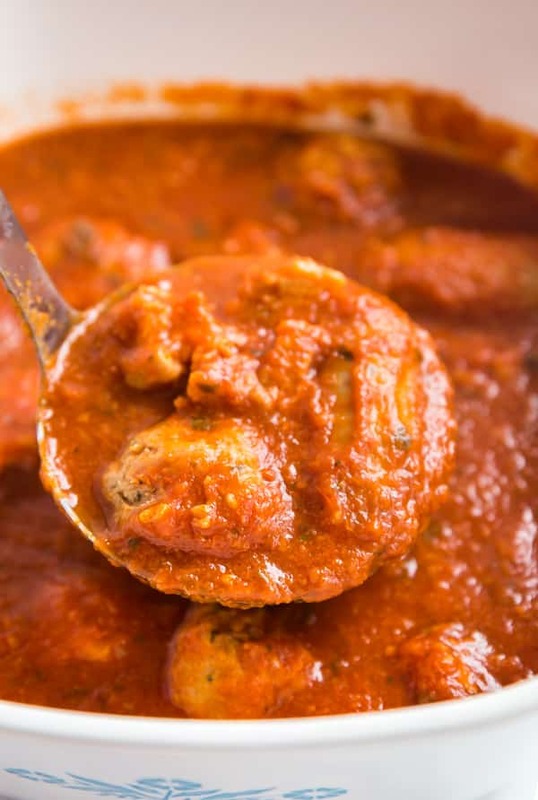 This classic tomato sauce comes with a seriously hearty mix of meatballs, Italian sausage and fall-apart-tender pork loin (my personal favorite!). 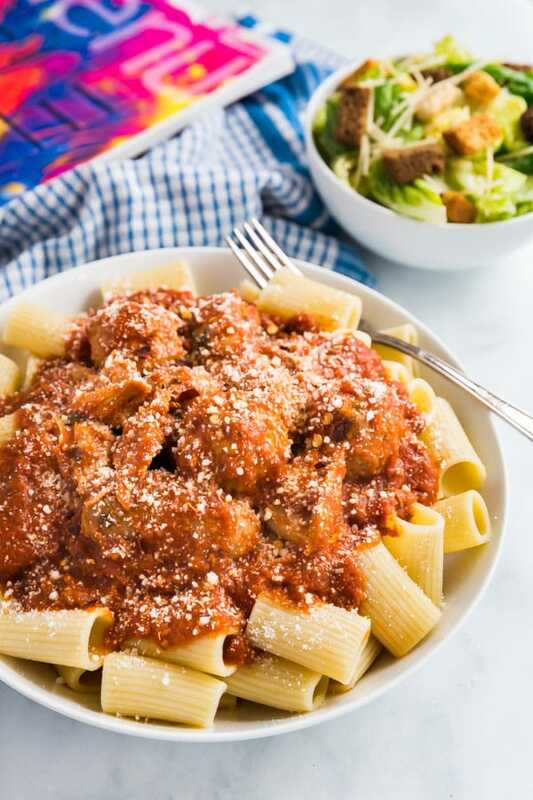 I paired it with Wegmans Italian Classics Rigatoni and their Caesar Salad kit for a balanced, flavorful dinner. Remove the labels from the packaging– There’s a label on each side of the package and it peels off very easily. 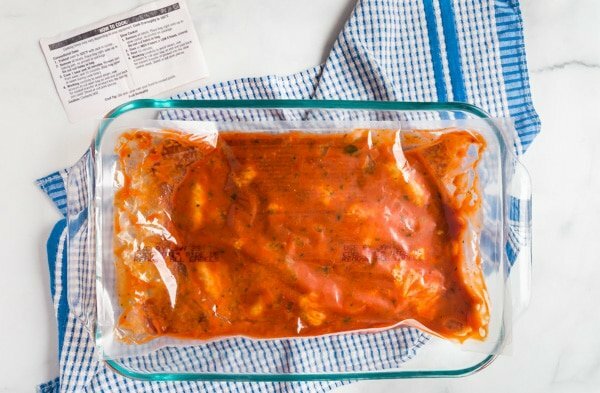 No need to remove the sauce from the packaging or even cut holes to vent, just remove the labels and it’s ready to cook! The directions are conveniently located on the back of the label on the front of the package. 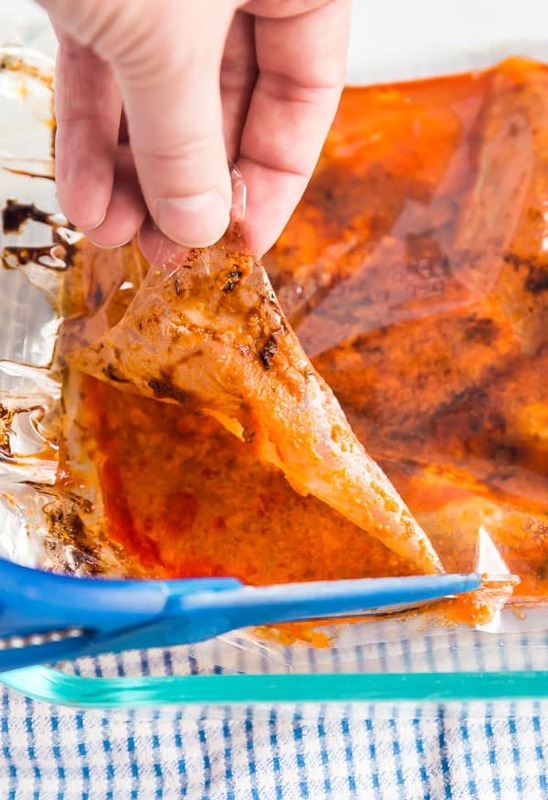 Place it into a baking pan and bake- Since the bag is oven-safe, you can place the entire unopened package right into your favorite baking pan (I like to use my 9″ x 13″ pan) and bake it on the center rack of the oven. Some entrées even have slow cooker instructions! Peel back the film and serve- Once the cooking time is up, it’s as simple as peeling back the film and serving! You can also use kitchen scissors if you don’t want to peel. The clean up is minimal thanks to the awesome packaging! 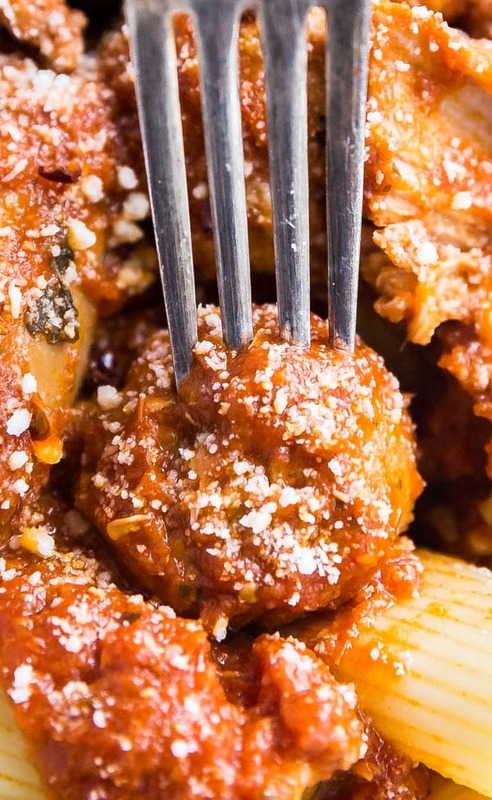 Other great hacks and easy dinner ideas to make it all easier! Keep some convenient basics on hand- I try to always have convenience items in my pantry, fridge and freezer. These would include things like instant rice, steam-in-the-bag veggies, salad kits, frozen garlic bread, etc. Salad kit hack- Mix your salad kit right in the bag for even easier clean up. Cut the top off the bag open, pour the dressing and other packaged components into the bag, roll it shut and shake until everything is fully combined! 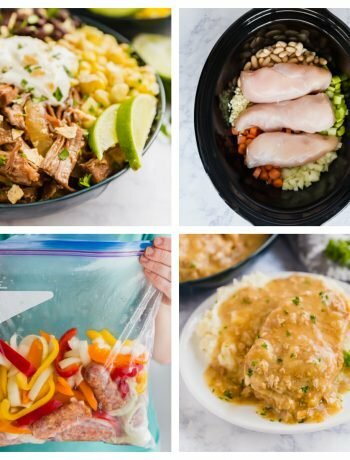 Food prep- Although, I was never really able to get the hang of meal prepping, one great way to help reduce the work of weeknight cooking is to prep certain meal components in advance. I opt for items that I know will reheat well. You can easily make a big batch of your favorite grains to serve with meals during the week. Bake up some potatoes. Steam veggies. Pre-chop raw veggies (my kids love to dip raw veggies in hummus with their dinner!). 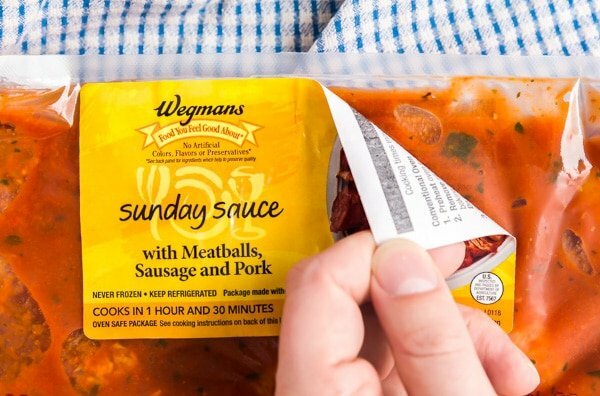 Double batch for leftovers- Some Wegmans ready-to-cook entrées come in large and small sizes. I always opt for the larger size to ensure there are leftovers for the next day’s lunch or dinner. You can also cook more than one entrée to ensure an additional full meal the next day. Which option you choose will depend on the size of your family. We have two small children so a large package works well for two meals but for larger families or families with older kids, cooking two entrées might be a better option. 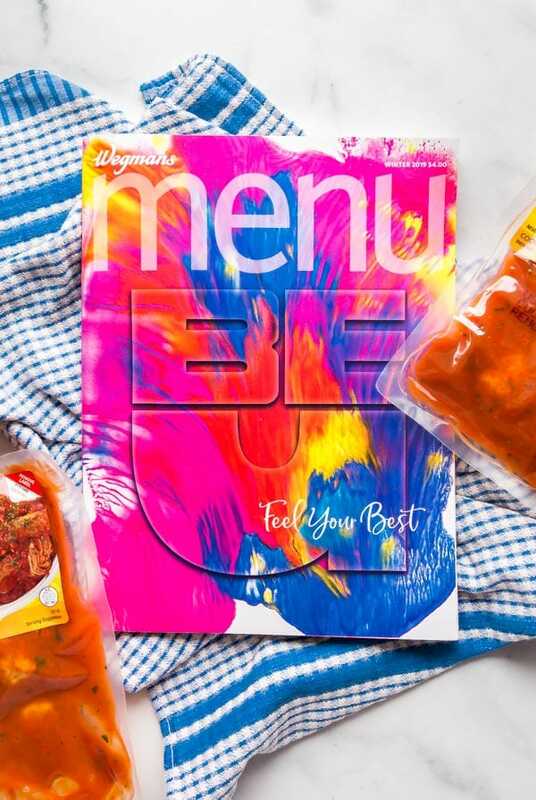 Head over and check out all the delicious options for Wegmans chef-developed ready-to-cook entrées in oven-safe packaging and to find out where to buy. Introducing my new series, Dump It ‘Til It’s Hot! February 12, 2019 at 8:00 am Wegmans has great carry out food! I love this packaging! 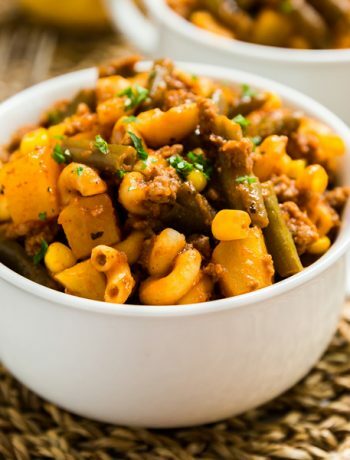 February 12, 2019 at 5:00 pm Agreed- and SO much variety- I can always finds something I'm craving! February 14, 2019 at 9:28 pm Thank you so much for sharing this hack! Such a perfect idea for weeknights! February 16, 2019 at 7:01 pm Thanks Toni! February 15, 2019 at 11:43 am So convenient for last minute dinner rescuing! Great option to have! February 16, 2019 at 7:01 pm I agree!